Celebrate, Uber riders! The ride-sharing service has announced that it is overhauling its aging app. Gone will be the overly complicated navigation (they said it, not me) — instead, the app will be cleaner, smoother, and faster. Uber even states that it will be rebuilt from the ground up. The redesign focuses on the question of "Where to?" Since we all use Uber to, you know, get somewhere. Uber and Lyft have both separately announced two similar but unrelated ways of doing the same thing. In either case, people will soon have the ability to share rides with others in order to cut down on how much they have to pay. Uber's announcement yesterday came first, but the two are too close together for this to not have already been in the works at Lyft as well. In the former's case, the feature goes by the name of UberPool. The company will let people share a ride with another person requesting a similar route to split the cost. 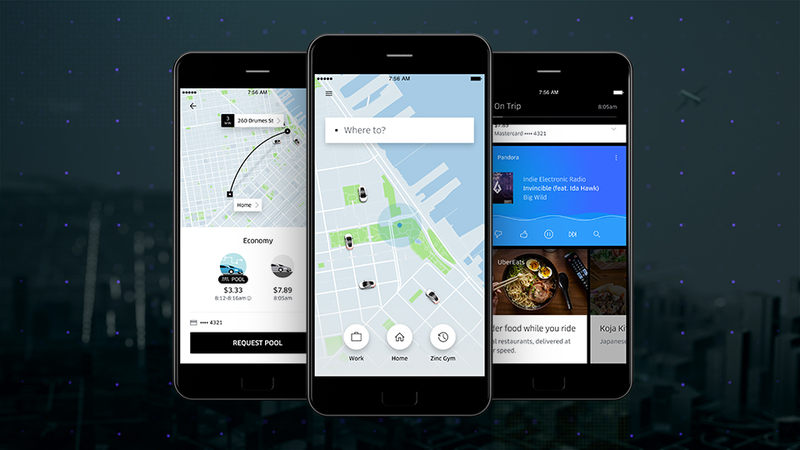 The service is available immediately in a private beta, with Uber willing to welcome in more early adopters on August 15th.